I started collecting Topps Football cards when I was a child. Unfortunately, like most kids, those cards are lost or destroyed by rubber bands and spokes. I have always enjoyed the AFL & NFL players of the past, their dedication to the game was inspiring. 30 years ago, I decided to start building the Topps sets that I remembered as a child. I buy and trade the Stars, Hall of Fame players, as well as the singles and commons to finish my sets. Along the way, I have picked up many, very nice mint and near mint football cards. Many of them are high grade PSA cards so I've got some great cards to trade. 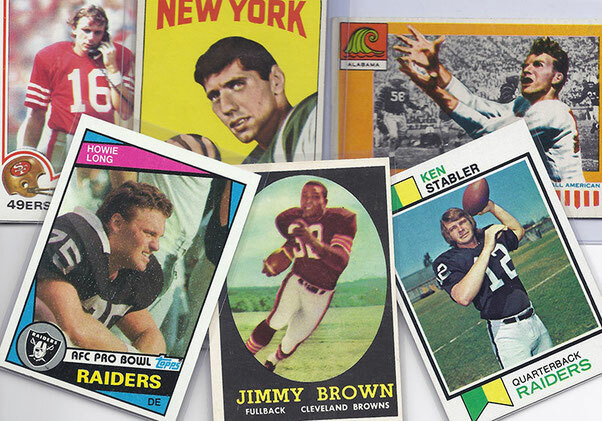 This site is for the true Vintage Football Collector, looking to finish a set or looking for a player or specific NFL team. I am always looking to trade or buy high quality, older Topps Sports cards and Vintage Seahawks materials in Tacoma. I look for nice cards, that haven't been abused. Steve Largent is a favorite of mine. I currently have the number four all time Steve Largent Set on the PSA Registry site.